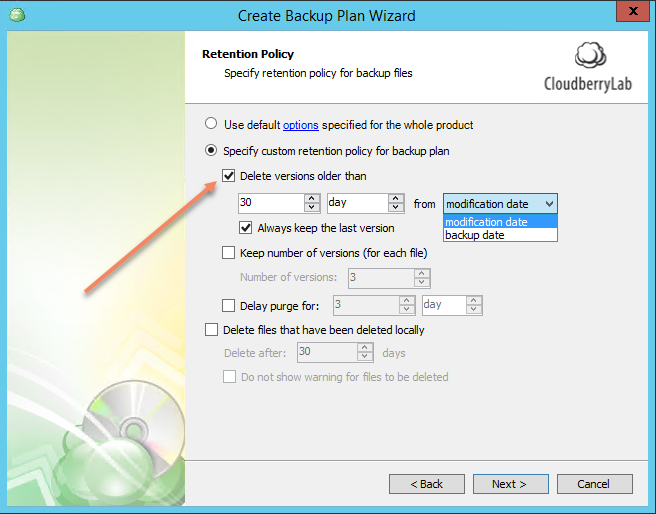 Retention policy is a feature that allows you to automatically create and delete copies of your files. This article provides detailed information about the logic of this policy operation and its useful peculiarities. In CloudBerry Backup we call each copy of a single file a version. You can create several versions of a file during its lifespan accordingly to your security settings. 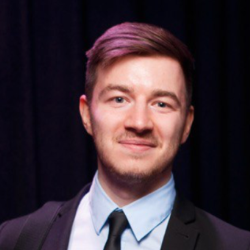 We track each version of each file that were created and give you full control over it. 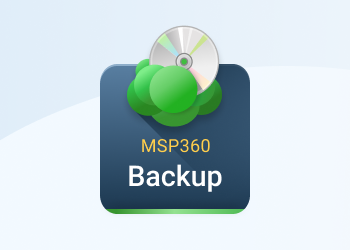 All user files are accompanied by a list of their previous versions in the backup system. 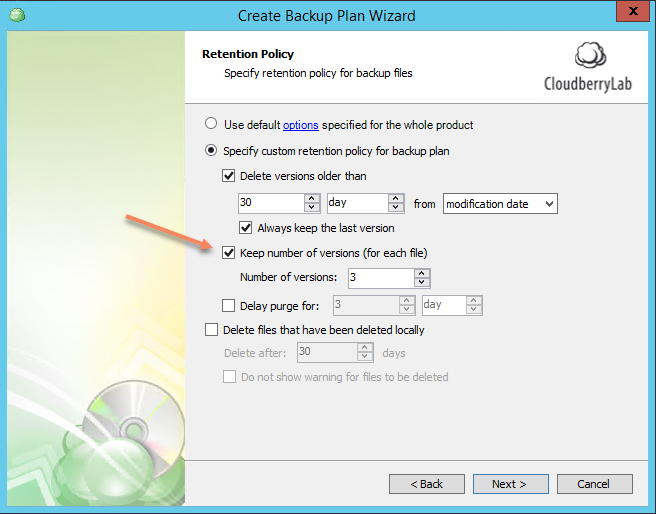 All options of Retention Policy are available in the backup plan settings you choose. 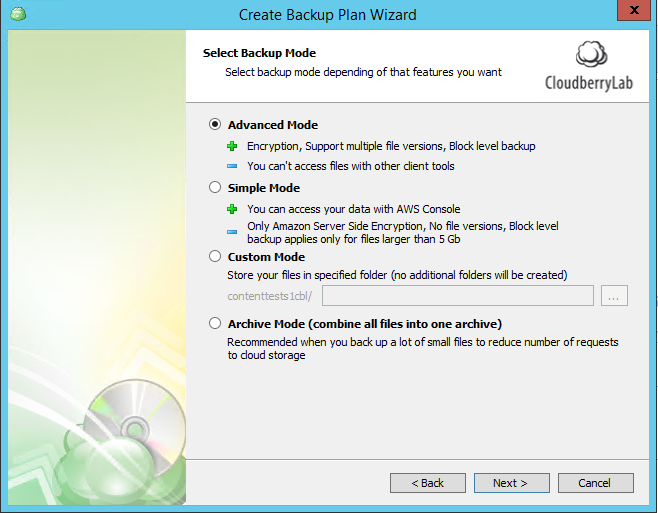 To get a clear understanding of it, choose any backup plan, click Edit Backup Plan and set Advanced Backup Mode. 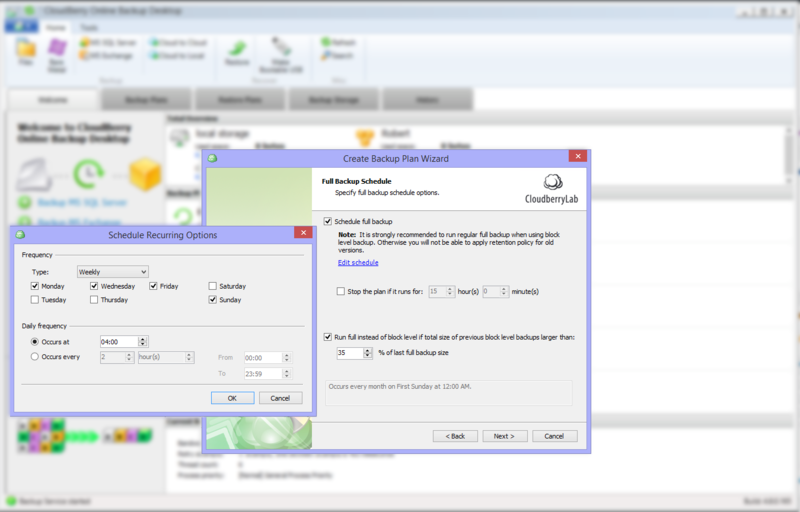 All settings of Retention Policy are available at the same-name step. This parameter allows to delete all file versions that were created before a certain date (day, week, month and year can be chosen) as measured against the initial backup or last modification date of your files. You can check the box Always keep the last version. It acts as a kind of a safety lock and prevents last version loss even if it is out of date according to the policy settings. This feature allows you to keep the limited number of versions for a file. It is useful when you need to configure policy without a specific date. It is convenient for data that is rarely updated. For example, information on the website is rarely updated but it would be a good idea to have any history in case of its loss or a suddenly detected bug or a malware attack. Just choose Keep number of versions and set the required number of copies. Use checkbox Delay purge for to give yourself time to check files, that are going to be purged, for the last time. It can be another one safety lock for your backup strategy. 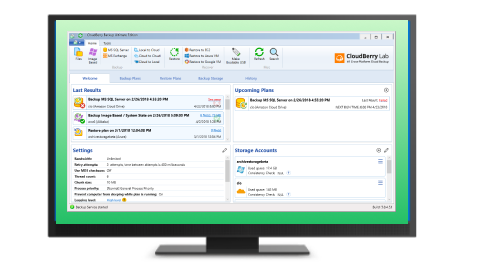 Delete files that have been deleted locally allows CloudBerry Backup to purge unneeded files from the backup storage. If a file was deleted from the dataset, it then will be deleted from the cloud storage automatically, during the next run of the CloudBerry Backup. 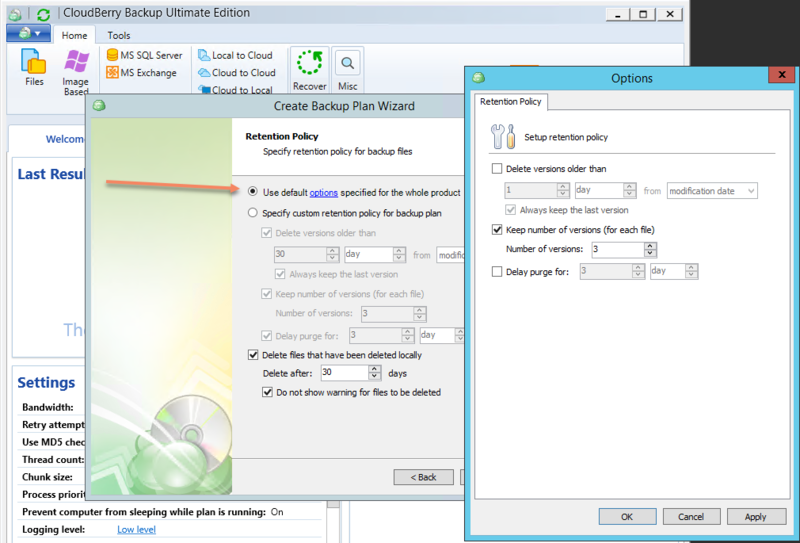 This option eases backup storage management of big datasets. This option is also recommended to be used with the above-mentioned parameter Delay purge for. Just in case. If your retention policy can be standardized and you want it to be enabled to all backup plans by default, go to Tools - Options- Retention Policy. You can also enable and manage default retention policy directly from the Backup Wizard. Block-level backup is a feature of incremental backup that allows uploading for only changed parts of files instead of whole files. The peculiarity of block-level operation with increment versions is in the fact that all versions comprise a single chain. Due to this architecture you need to schedule full backup every once in a while. This will ensure the correct work of the purge mechanism. Run full only if the total size of previous block level backups larger than — here you can set a percentage ratio that cannot be exceeded by increment copies in relation to the full version. If their size exceeds the limit, a new full copy containing its own chain of backup copies is created. And all other copies of the earlier chain can be deleted without any consequences.